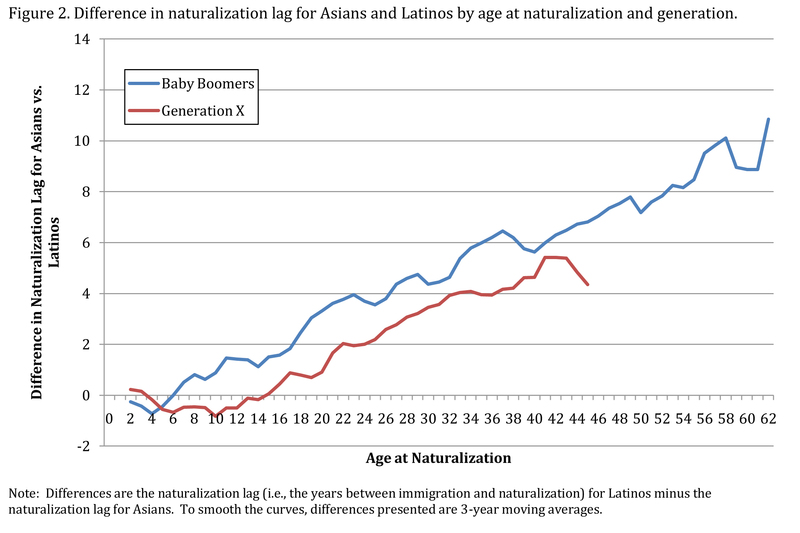 The Latino population within the Baby Boom generation includes a large number of immigrants. A recent study authored by the Latinos & Economic Security research team found that in 2000, 57% of Latino and 88% of Asian boomers had immigrated to the U.S. Among these Latinos, 37% of immigrants had naturalized, compared to 57% of the Asian immigrants. 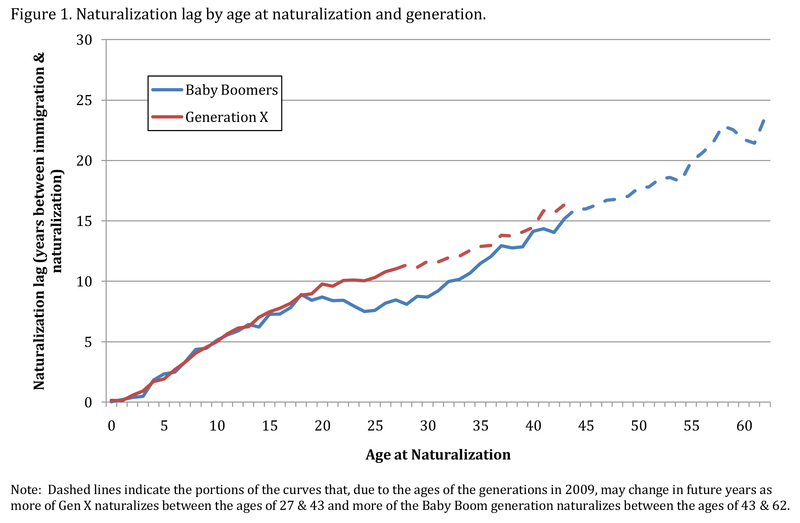 Our research also found sharp differences in financial well being based on immigration and naturalization status, with the income of naturalized Latino baby boomers being over 60% higher than the income of non-citizen Latino boomers.